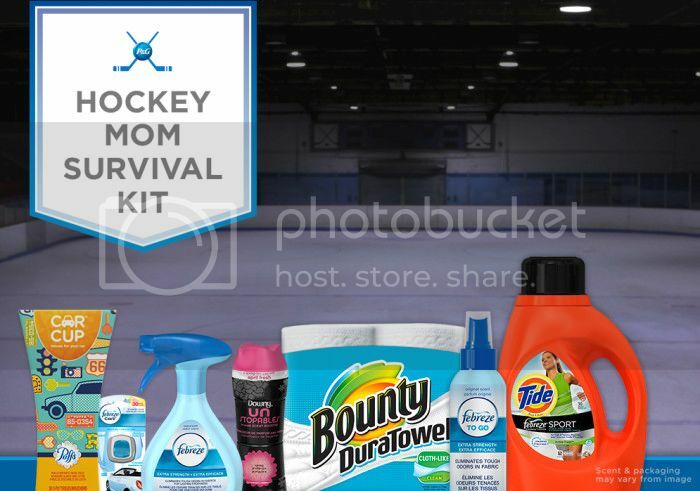 I am not a hockey mom but I am a skate mom. Being a skate mom is a thrill and I find the discipline my daughter has when she is giving her all to her new sport just contagious. She always puts her best foot forward whether it is run club or skating. Sports in general are a great part of a child's life, it teaches them discipline, team work, not to mention in our case she is receiving instruction from someone other than myself. As a homeschool mom is is important for my daughter to learn from other people than just myself. 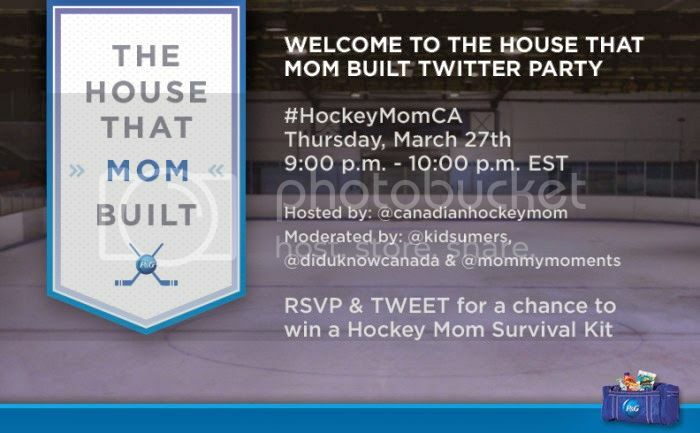 On March 17th, P&G launched The House that Mom Built, a website where Canadians can celebrate minor league Hockey Moms, showing the carpool queen, the tournament manager, the official cheerleader and after-game snack maker how important they are by virtually raising their name in the rafters. Skates are expensive. To save blades from rusting wipe them down after each and every skate but be careful, they’re sharp. Try using Bounty Duratowels which are tough enough to wipe them off. For efficiency, keep a roll in hockey bags. The lingering smell of hockey equipment in the car is only made worse when the heat is turned on high in the winter. To get rid of car odour, try Febreze Car Vent Clip Air Freshener for 30 days of fresh scent. Runny nose after being in the cold arena? Coffee spill in the car? You’ll never have to search for a tissue with Puffs Car Cup – tissues specifically designed to fit in the cup holder of your vehicle. Jerseys and socks soak up the sweat, snacks, beverages, and worst of all, the odour that comes with being an athlete. To keep their uniform looking bright and smelling fresh, throw them in the washing machine with detergent, specially designed for sportswear. Don’t forget to sprinkle in a little love and lasting scent with Downy Unstopables for freshness that releases as kids move! Wet equipment left in a hockey bag after a game or practice is a breeding ground for odour-causing bacteria. To prevent odour, air out all equipment after every practice and game on a drying rack. After taking the equipment out of the bag, try spraying all equipment (even soles inside the skates) with Febreze Fabric Refresher Extra Strength for long lasting freshness. For a safety net, keep the to-go version in your purse for a burst of freshness anytime. ** Scent & packaging may vary.